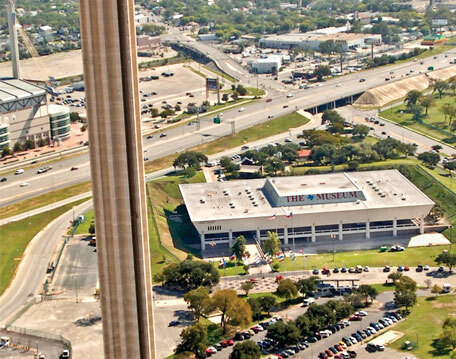 From a historic perspective, one could look at the Institute of Texan Cultures as UTSA’s “first campus.” Administrative offices for the university’s first president, Arleigh B. Templeton, were set up in 1970 at ITC’s HemisFair Park location while architects got busy planning. By 1973, construction began on Main Campus on a 600-acre tract in the rolling foothills of San Antonio’s northwest side while classes were temporarily being held at the Koger Executive Center. 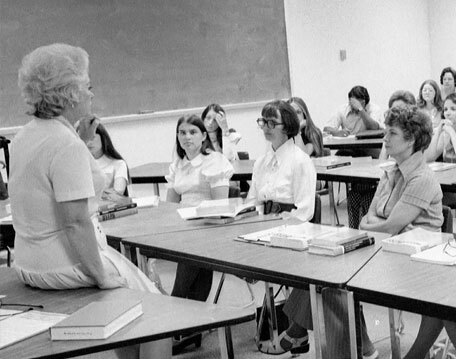 In September 1975 classes started at the location for students enrolled in five colleges: Business, Fine and Applied Arts, Sciences and Mathematics, Humanities and Social Sciences, and Multidisciplinary Studies. Enrollment was 4,433, with 2,247 undergraduates. When the John Peace Library opened in 1976, it became the new administration building. 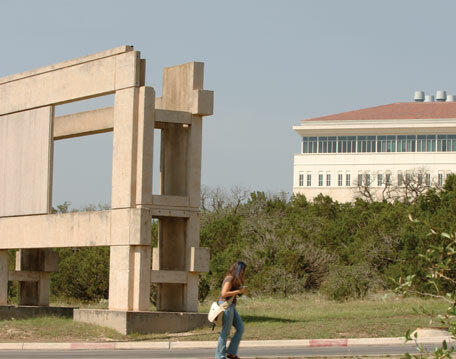 The Institute of Texan Cultures formally became part of UTSA in 1986, the same year the institute’s annual Texas Folklife Festival celebrated its 15th anniversary. There’s an unassuming structure at the intersection of Bauerle Road and Key Circle on Main Campus that looks like it couldn’t possibly serve a purpose. Perhaps it’s simply some piece of artwork, being so close to the Arts Building, to adorn the trip from East Campus? Not according to the 1997 publication UTSA Uncovered by former student James Pinkard. You’ve seen the names — from Alvarez to Ximenes — on streets and buildings around Main and Downtown campuses. But who are these people, and what’s their connection to UTSA? Don’t worry. We’ve done the research for you on the surnames that come across our paths on a daily basis. Hover over the maps to see the origins of these familiar names. A project to record and preserve testimonies about the early years of UTSA is now under way by the very individuals who helped shape the university. Members of the Retired Faculty Association have already recorded approximately 30 interviews for its Oral History Project. The recordings will become part of the Institute of Texan Cultures’ Oral History Collection, housed at the UTSA Libraries’ University Archives. The goal of the project is to capture and archive faculty statements about UTSA’s development, making them accessible for future historical reference and interpretation.